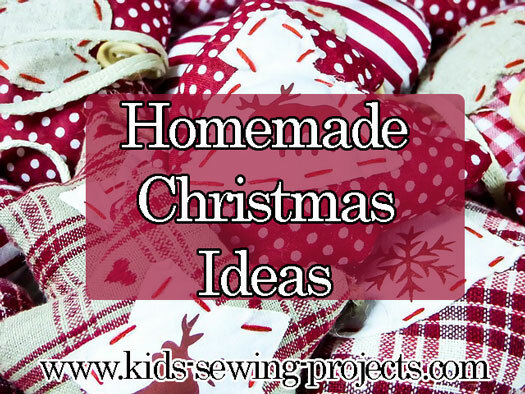 Some of the best homemade Christmas ideas that you can get your child to make are sewing projects. 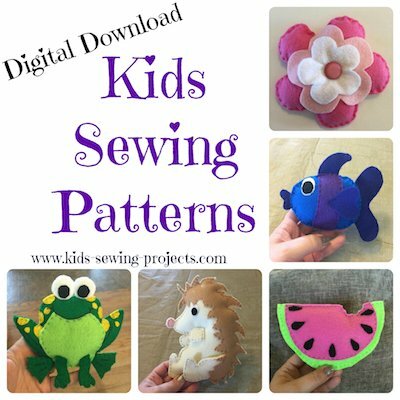 If your child isnt already interested in sewing, you can choose from a wide variety of projects and techniques to get them going. You will find that apart from the enjoyment of being creative, your child will also start to learn important skills like concentration, fine motor skills and perseverance on a challenging task. Embroidery stars and trees on a stocking  Both shapes are symmetrical and simplistic to do. You could get them to do a simple over and under stitch, but helping them to learn a cross-stitch will give the shapes a better outline. Personalized hand towels  Using a simple line stitch, your child can put peoples initials onto hand towels, napkins and handkerchiefs. The lines and curves of the letters will give them the skills to take on projects that are more complex. Homemade cards  Start by creating small cards and covering the front with thin fabric. 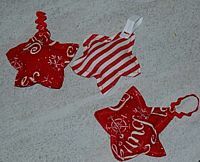 Get your child to draw their design on the front with Christmas symbols and then have them sew their design over the top. You could also get them to cut out symbols in different color fabrics and stitch each shape on to the fabric. If your child has more skill and more confidence in their sewing, then set them the challenge of making an advent calendar out of different fabrics. They will need to begin by drawing 24 boxes onto a plain piece of fabric and choosing a different Christmas symbol for each one. They can either cut fabric shapes out and stitch them together, or just line stitch the outlines. You may need to help them cut the doors out and work out a way to stitch a hinge onto each one. A sewed on button or Velcro pads are options for closing the doors. Here are several homemade Christmas ideas for you to sew up this holiday season or make as easy Christmas gifts. Christmas Tree Ornaments- use cookie cutters to shape your ornament designs. Christmas stockings- directions are the same for making big or small stockings. 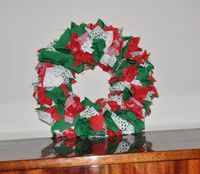 Christmas wall hanging- use colors of Christmas and/or Christmas fabric to create a wall decoration. Christmas gift bags- bottle bag, tote bags, drawstring bags. All these tutorials make a great substitute for wrapping your present and something they can use again and again. Christmas tablecloth- using Christmas fabric works great for this sewing tutorial. Christmas placemats- use Christmas fabric for creating Christmas style placemats. As with any homemade Christmas ideas and projects made by children, the main thing is having fun while doing the best job they can. The quality of the final product is not important, as the recipient of the gift will appreciate the time and effort that has gone into the work as much as how it looks. Youll know if youve succeeded if your child asks to take on a sewing project for Valentines Day. ~Free Christmas Projects and Crafts -Find lots of free creative Christmas craft projects, ideas, patterns, freebies, recipes, etc... for many holiday hours of fun!